While I do serious work (that is, when I am doing what I am supposed to be doing), I need distraction. Otherwise, I get fidgety. So, I stop now and then and do something else, like odd little drawings on a drawing program. Right now, I am doing a serious project in PowerPoint that involves setting type as well as fiddling with images. So, for diversion when the fidgets set in, I have Painter 12 running. This is nothing new. Much to the chagrin of parents and teachers, way back when I was a kid, I was always doing little drawings when I should have been doing my homework or paying attention in class and that did not do much for my grades. 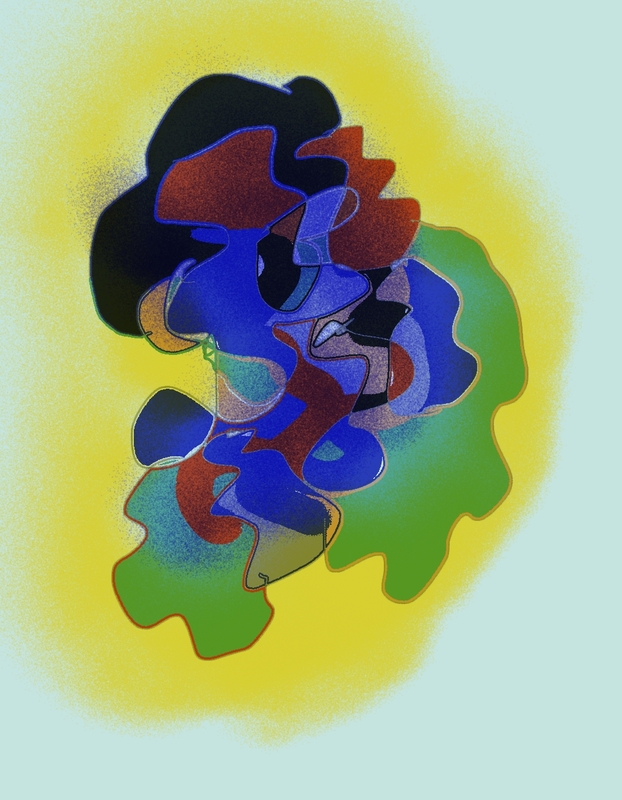 Anyway, this is one of the odd, little drawings that I did today: an abstraction of sorts that started out with some lines and fiddling with the line settings and then fiddling around with colors and then with effects until it got to be time to do something else. In conclusion, it seems that I am still a kid but, I admit, the fidget level always goes down, even to zero, and I get amazingly productive when I am just straight drawing or painting. Stick to what you love best. This entry was posted in Uncategorized and tagged abstract, digital, drawing. Bookmark the permalink.